GFranco Shoes makes dance shoes for men and women. Contestants can only enter once, so they should make their video entry count by uploading the best video possible. 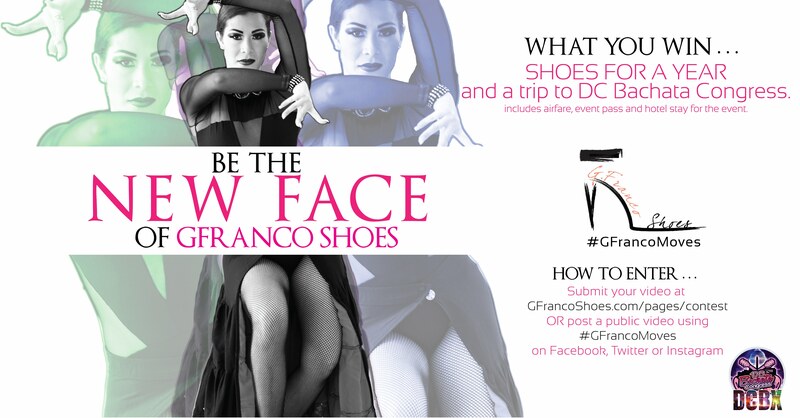 GFranco Shoes, an international Latin dance shoe company invites dancers to compete for the opportunity to be a New Face of GFranco by submitting a short video of their dancing moves on the contest webpage or by posting their video entry publicly with hashtag #GFrancoMoves on Facebook, Twitter or Instagram. The winner of the GFranco Moves contest will win a trip to the 8th annual DC Bachata Congress DCBX on August 25-29th, 2016 at the Renaissance Hotel in Washington, DC. The prize includes round trip airfare, hotel accommodations and an all entry pass to the events. As the New Face of GFranco, the winner will walk down the GFranco Fashion Show runway, get a year’s worth of GFranco dance shoes (6 pairs) and the opportunity for photo shoots and other privileges that afforded to only GFranco sponsored dancers. Video submissions will be accepted via website or social media with #GFrancoShoes until July 5th, 2016 and then a panel of expert will select the top 10 finalists. Videos should be under one minute and should feature one dancer. If the video showcases more than one dancer, please identify who is the contestant. All contestants will need to read the full list of contest rules. The Top 10 Finalists will receive all entry passes to the 8th annual DC Bachata Congress DCBX at the Renaissance Hotel in Washington, DC. on August 25-29, 2016 and a pair of GFranco shoes. Voting for the winner will begin on July 10, 2016 on the same web page and the winner will be selected by the public. Finalists and friends of finalists are invited to vote daily and share often to help increase the votes for their favorite dancer to help them win the contest. To enter the contest, dancers can go to GFranco Shoe’s video contest page and upload a video or post a video on Facebook, Twitter or Instagram using the hashtag #GFrancoMoves. Contestants should be sure their account is public for the video to be entered. Contestants can only enter once, so they should make their video entry count by sharing the best video possible. GFranco Shoes is a Latin dance shoe company headquartered in Carlsbad, California. Gladys Franco, owner and designer of GFranco Shoes, brought her technical design experience from major fashion brands to the dance community when she noticed a need for fashion, comfort and affordable dance shoes. She launched GFranco Dance Shoes product line in 2011 and has not slowed the company’s growth yet. 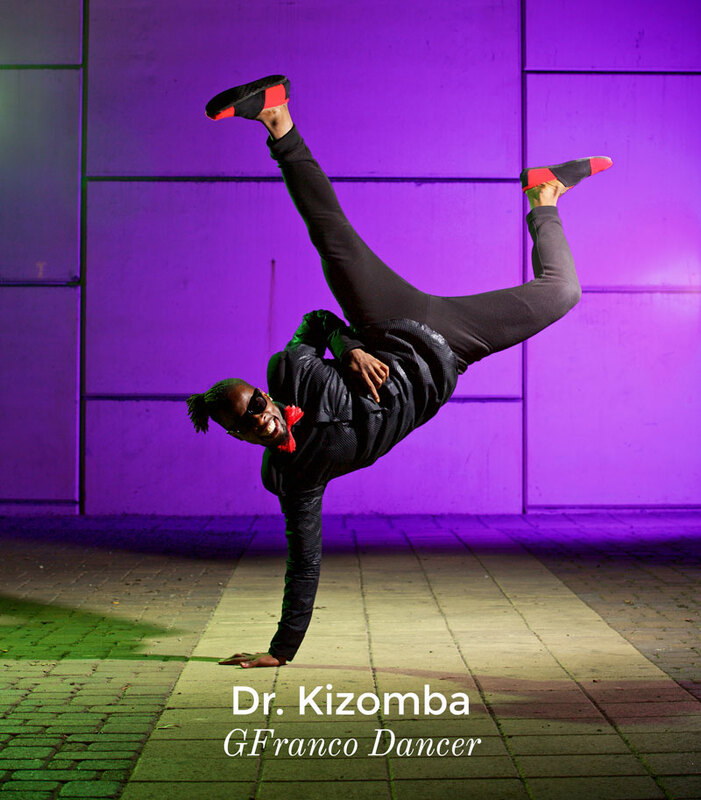 Featuring high quality, professional dance shoes for Latin dancers around the world, GFranco Shoes are worn worldwide and grace the feet of beginner dancers, social dancers as well as world-champions dancers in disciplines from salsa, bachata, kizomba, zouk, cha-cha, mambo and more. GFranco Shoes are available at dance events throughout the year, authorized retailers and online at http://www.gfrancoshoes.com.